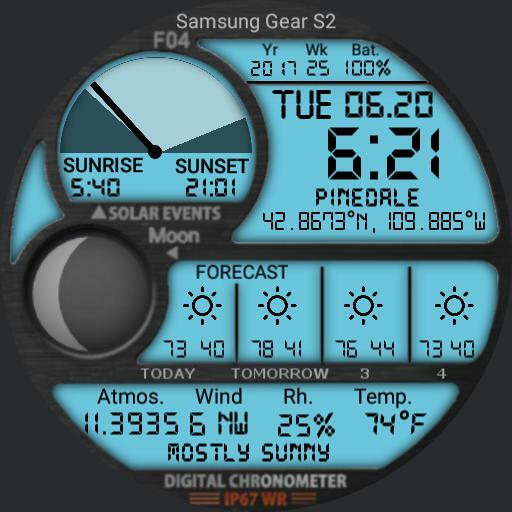 Fake copy of F04 watchface. Digital style, lcd font with cyrillic simbols. Detailed weather for today forecast for 3 days.